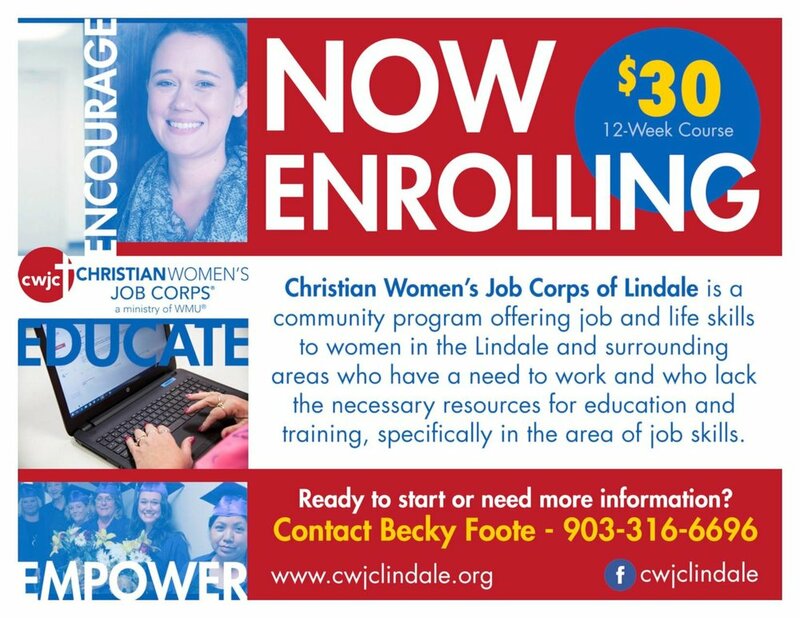 Christian Women's Job Corps of Lindale equips women with job skills and life skills in a Christ-centered environment. Are you a woman searching for a better opportunity? Do you feel like you lack the skills needed to secure a better future? Are you a woman without skills and without hope? We are here to help! Please click on the Enrollment link to begin your journey to an improved life today. Find out about CWJC, and our mission, history, and courses.